Save on Women at Nicky's Blog. 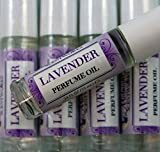 Top brands include Midnight Scentworks, Blessed Fragrances LLC, Shamarwyn: Natural Beauty & Alchemy, LaBron Perfume, From Molly With Love, LaPixie Wellness, The Columbia Fragrance Co., Ethereal Zen Creations, Lieber's Candles, MysticsRealm, GA Girl Naturals, Stripped Sugar Scrubs - Bath & Body, LoilJ, & La Pixie Wellness. Hurry! Limited time offers. Offers valid only while supplies last. Hormone Balance and Hot Flashes Relief Body Mist, Face Mist, Linen Spray, Room Spray, Meditation Spray, PMS 2 oz bottle. 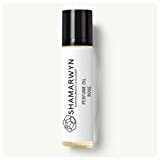 Stress Relief Essential Oil Blend, Anxiety Relief, Insomnia Relief, Spa & Relaxation Oil, Chill Essential Oil Blend. 100% Pure. Yang Ylang, Lavender, Bergamot, Orange, Geranium and Clary Sage.